Valet parking is available during dinner hours for $10.00. The valet is located on the 11th Street side of the restaurant. Limited metered parking is located around the restaurant. Also available, are parking garages on 11th St. between E and F Streets, and on 11th St. between F and G Streets. Pricing ranges between $13.00 and $20.00. Join us at Fogo de Chão® Washington DC located in the historic Evening Star building in Penn Quarter. A Beaux-Arts style façade invites guests into a space featuring large murals depicting ranch life in Southern Brazil. 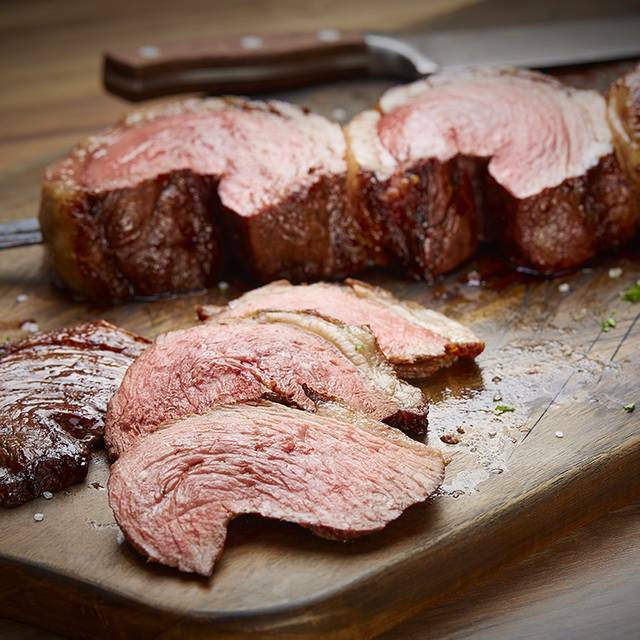 Fogo de Chão is an authentic Brazilian Steakhouse (Churrascaria) that has been setting the standard in Brazil for the past 36 years. 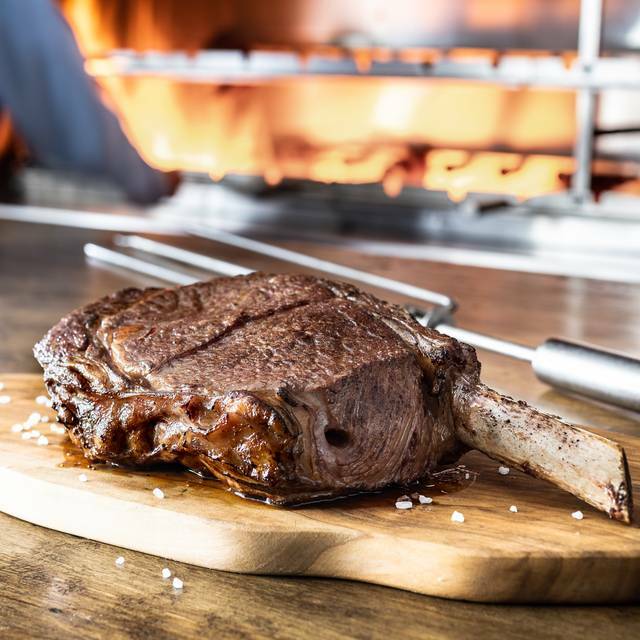 Today, our gaucho chefs still expertly grill and carve tableside each of our cuts of meat like Picanha (signature sirloin), Filet Mignon, Ribeye, Fraldinha (Brazilian sirloin) Cordeiro (lamb) and more. In addition to the main dishes, enjoy our gourmet Market Table, authentic Brazilian side dishes, and award-winning wine list. 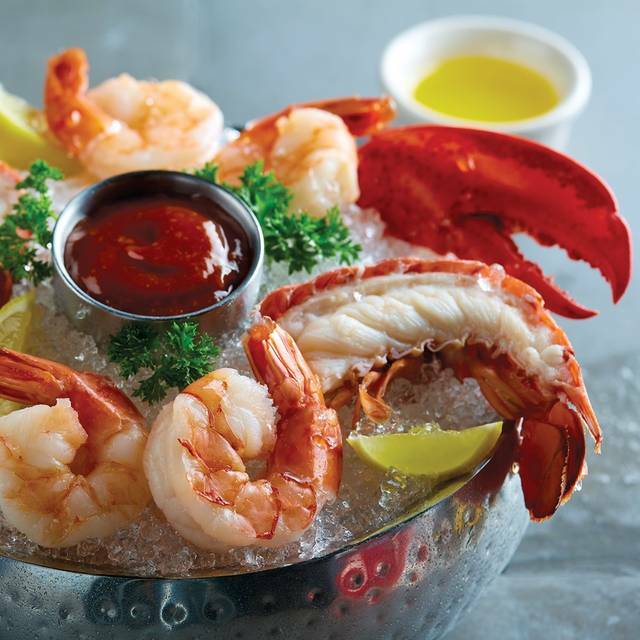 Guests can also choose to enjoy lighter seafood selections or enjoy the gourmet Market Table only option. We also offer semiprivate and private areas that can accommodate parties up to 170. M-f 4:00-6:30 in the bar & patio. Featuring signature tastes and sips of Southern Brazil. 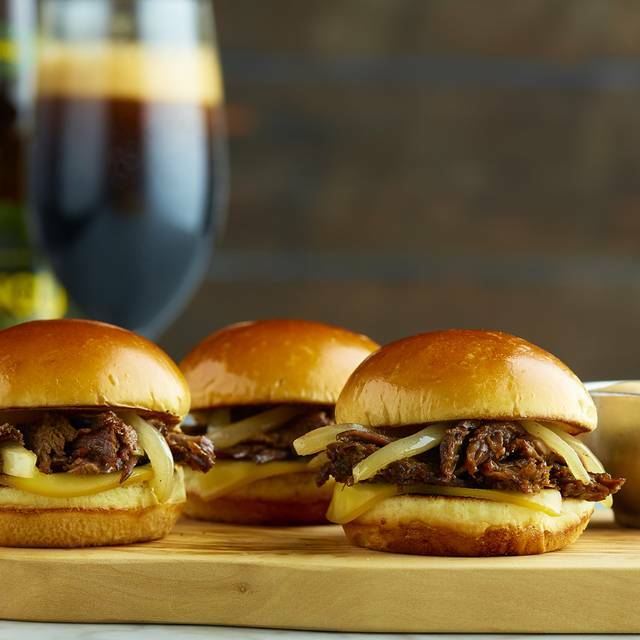 Xingu beer braised beef topped with caramelized onions, melted smoked provolone on toasted brioche buns. Marinated chicken breast with arugula, vine ripened tomato, pickled onion, and house made mango aioli on toasted brioche buns. Steamed spinach and Brazilian hearts of palm served with crispy toasts. 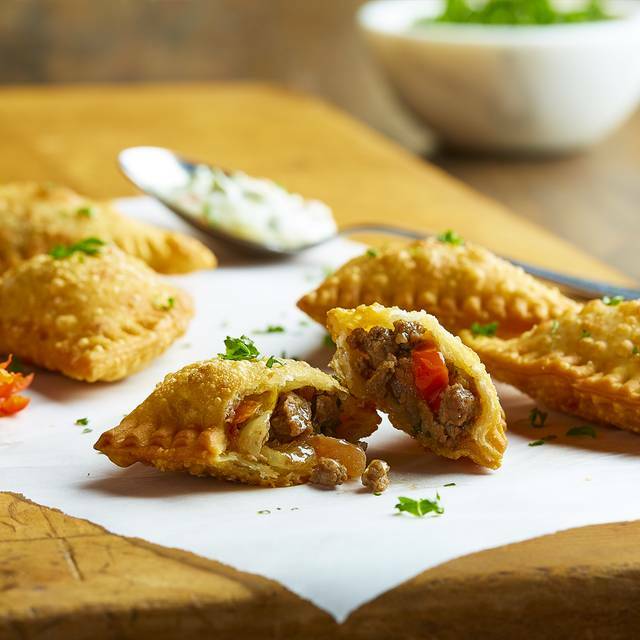 Flaky pastry stuffed with seasoned Picanha, sautéed onions, garlic, and bell peppers. Served with chimichurri aioli. Four jumbo shrimp served on ice with spicy Malagueta Brazilian cocktail sauce. Four jumbo shrimp sautéed in garlic butter with onions and sweet peppers. Served with passion fruit sauce. Tender medallions of filet grilled to each guest's preference. Served with a chimichurri salsa. A twist on a classic; this dish is an innovative and tasty way to enjoy crispy polenta. 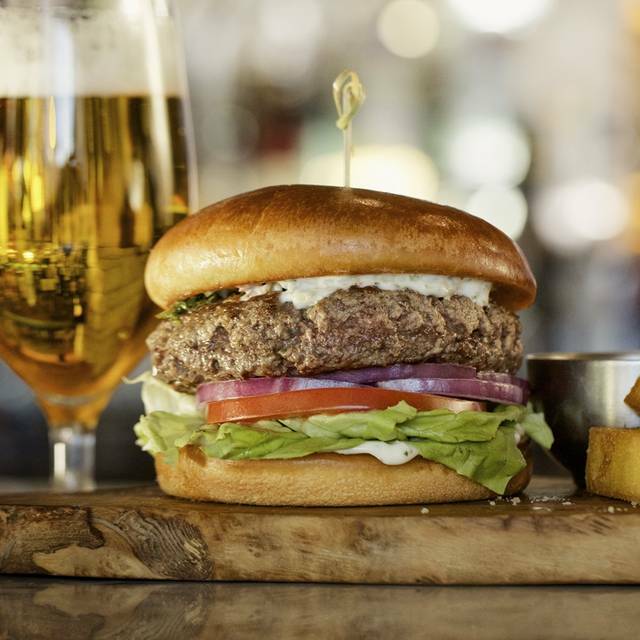 Fresh ground in-house, smoked provolone, bibb lettuce, tomato, onion, chimichurri aioli, brioche bun, polenta fries. Seasonal salads, Brazilian delicacies, charcuterie, imported cheeses, soup, and more. Hearts of palm, roasted peppers, goat cheese, marinated red onion, basil cream, arugula, brioche bun, polenta fries. Frango (Chicken Legs), Costela de Porco (Pork Ribs) half rack, The Bone (Beef Rib) large beef rib, Cordeiro (Lamb Chops) three double chops. Served with Brazilian Sauces. Signature cocktails featuring cachaça, the native spirit of Brazil, distilled from pure cane sugar. Make any a Caipirosca with Tito's Vodka. Fogo Premium Aged Cachaça fresh muddled limes, cane sugar. Muddled with Fogo Silver Cachaça, limes, cane sugar. Hibiscus-infused, cachaça, muddled strawberries, lime. Silver cachaça, passion fruit, lime, cane sugar. Silver cachaça muddled with limes, mango, spicy habanero peppers. Silver cachaça, Mount Gay Black Barrel Rum, Coco Lopez, muddled limes. Buffalo Trace Bourbon, Carpano Antica, blood orange, angostura bitters on the rocks. Ketel One Citroen, mango, South American ginger, honey lemon elixir, basil served up. Tito's Vodka, lime, muddled cucumber and fresh mint on ice. Hendrick's Gin, ruby red grapefruit, elderflower, honey elixir. Knob Creek Rye Bourbon, passion fruit, and honey served up. Topped with tawny port and Amargo Chuncho bitters. VeeV Açai Spirit, Grand Marnier with muddled fresh strawberry, blueberry, lemon in a tall glass over ice. Bulleit Rye Whiskey, muddled caramelized pineapple, orange, Luxardo cherry, served over ice. Celebrate the Mothers in your life at Fogo. All moms who dine receive a complimentary dining card. Sunday, May 12, 11am-9pm, Dinner price all day. *Restrictions apply. Celebrate Easter at Fogo, Sunday, April 21, from 11 am-9pm. 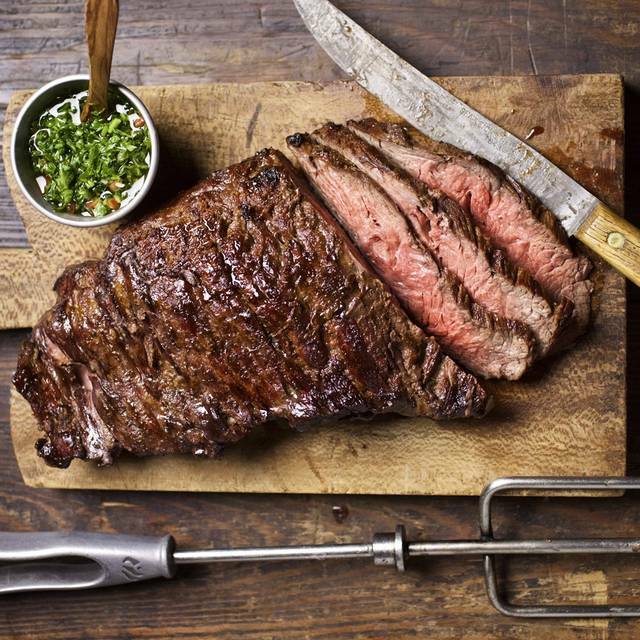 From fire-roasted meats to Brazilian brunch recipes, there’s something for everyone. Dinner price all day. Fogo is always great, although it’s a very interesting algorithm when it comes to which cuts of meat come out. They start you with the best, then you don’t see that meat for a long time; if again during your time there. Service is good, I like how they let you eat and enjoy without much interruption. Overall good! Will definitely be back. When asked if we needed anything, if we asked for something it took forever to bring it to the table. I have been to many Brazilian steakhouses, even a couple in Sao Paulo, but never a Fogo de Chao. Went to this site in downtown DC to celebrate our sons 25th birthday. This place takes the concept to a whole to level for us, both in terms of service and quality. I have never had the meats prepared so consistently perfect like this. Ask for medium-rare, you get it. My sons girlfriend wanted medium well, she got it. I will go back. Wish we had one in Raleigh. The server and the manager were amazing! Highly recommend making a reservation during a busy time... Friday or Saturday around 7 or 8pm. This is when we have had the best experience with service and food, although every experience has been good. I absolutely love this place! It reminded me of going to Brazilian restaurants in Japan, it brought me back to great memories there. I loved the food and the staff was so professional and courteous. Dinner with my sister after a long time without see her! This was an absolutely wonderful and delicious experience during our trip to Washington DC! should have more vegetables, waitress took the water order and didn't return. manager had to take our wine order and dessert because waitress ghosted. Perfect place for a large group or alone. Everyone comes away having eaten delicious food of their choice and plenty of it. There are many choices for all palates. The restaurant was very crowded. The setup is something where you have to walk around to get to the salad bar but in every path a waiter was walking by. Guests had difficulty walking around to get their food because there were too many tables on the floor with tight spaces. But the food was great and tres leches cake awesome! So loudy that you can hardly hear the waitress shouting to your ear. I can not imagine 4 people dining and trying to talk. Even tough I had an reservation @ 8:00 PM, I was waiting 30 mins to get seated. The price is premium so would expect a level of service to make a pleasant dining experience, not a chaotic one. The service of the meat was well organized that you don’t need to wait and taste good. The food and staff were amazing however there were too many people, the tables were too close together, and many of the patrons were obnoxiously loud which totally killed the vibe especially when compared to other Fogo de Chaos we have visited in the past. Had family in from out of town and received exceptional food and service. Will definitely be back and would recommend. Horrible service. Never saw our server. He never formally greeted us and told us how things worked. We thankfully knew and went to the salad bar and then started eating until he came and we ordered a bottle and he never came back to check on us our top us off. Worst experience at any Brazilian steakhouse I’ve ever received. Really a great spot for the carnivore.... every cut of meat was seasoned perfectly but simply and prepared to perfection. Plan ahead and make a reservation. The experience, food and service were good, but you need to know not fill up on the Market Bar or rolls. Also need to know not to fill up on the first few cuts as the best cuts such as filet mignon or lamb come much later. The chicken and beef wrapped in bacon were also very good. Food was great. Originally went for the salad bar but couldn't help myself with the delicious looking meat they had going around with. Although the food was good the service was a tad ehhh to me because one of the servers rolled his eyes like he didn't want to be there. All in all its about the same as Texas de Brazil. I’ve had spectator service at the Fogo De Chao in Houston. The service from the waitress in DC left a lot to be desired. I didn’t get the sides until halfway through my meal and that’s after I had to ask. When she brought it out, she just brought the mashed potatoes.I also had to ask for my drink to be refilled twice. Definitely not the type of service one would expect from Fogo. It's not worth the hype. For the price you pay you for two people you can go to another restaurant pig out and have seconds to take home. We had to keep requesting curtain meats we wanted verses just waiting for it to make it to us which would have never happened! Crowded, loud, chaotic. Sever brought incorrect bottle of white wine, never returned to open the bottle of red wine, overcharged by one dinner on final bill. Would not return. Been in many Fogos before and things have worked well. But not now. Very crowded and noisy and the service was quite bad. The evening started with the waitress spilling a glass of red wine over my mom. It took them 30 minutes to bring us our sides and sauces - we had to ask for them multiple times. Food was not as good as it usually is. Not a good experience. Amazing food and great service from every member working at Fogo. I planned a birthday celebration for my partner at Fogo one of his favorite spots to eat. I made a reservation for 10 and got seated about 10 minutes after arriving and we didn’t have to wait for the whole party to arrive to be seated which was great. Service as always is great. While we thoroughly enjoyed our dinner and the service we received at our table, the host service seemed somewhat disorganized. We arrived moments before our 7:30 PM reservation but we weren't seated until 7:50 PM. Not sure why we made reservations for 7:30 when we still had to wait. It wouldn't have been that big of an issue but we had an hungry and impatient 9 year-old with us. Also, I requested to have flank steak to come to our table three times before it actually came. The server was apologetic for it being so slow but it took over 20 minutes for the flank steak to finally arrive. Great service! Enjoyed the food. Women beware!!!! My wife had a traumatizing emotional experience while using one of the unisex restrooms down stairs. When she was washing her hands she felt as if someone was watching her she looked in the mirror facing her and could clearly see a man in the adjoining restroom watching her through the inside oblique partition separating the two restrooms. I told the manager that they should have a complete solid wall separating the interior of the two restroom. She stated that they will correct the problem. I plan to visited the restaurant to if the problem has been truly corrected. I will write another review to state if the problem was corrected. All the meats that were brought to our table were tough. We wasted a lot. Looked st other tables and also saw meat leftovers. Had to ask specifically for rib eye and tenderloin to be brought to the table. Even a waitress noticed we were waiting and she herself asked us what we wanted and we were about to leave but she said, I will make sure you get it and she followed through. We were visiting Washington DC for the cherry festival. Fogo de chao was our most expensive dinner $156 for 2, with only a coke and the worst meal for us that weekend. We had a reservation but still waited for almost an hour to be seated. Our waiter was great but for a table of 12 it would have been better if he had some help. The restaurant needs better seating, the chairs make you feel like you’re in a fast food place. The salad bar and meat is delicious. Loved it from the service to the food it was perfect Thank you . The salad bar is outstanding in variety and quality. They meat runners sliced on my plate 9 different cuts of beef and the cuts were superb; my favorites were the top sirloin and the premium sirloin. I was able to choose from big slabs of beef the exact part that I wanted. Also, the Brazilian drink, caipirinha, was one of the best I have ever tasted. Come hungry! Fun place to try a dozen or more different grilled meats. People who know their butcher cuts will love this place. But vegetarians (who don’t mind meat on skewers everywhere) will also love this place. The salad bar is SO much more than a salad bar. Great grilled vegetables, several salads, fresh cheeses, bean dishes, quinoa, fruit. Not cheap - $60 per person for the full experience, not including drinks, dessert - but you get your money’s worth. The salad bar (aka The Market Table) can be ordered just by itself for half that price if you don’t want to eat the meat.